CPAA is proud to work with some of the best, and most respected, music instructors in all of East Tennessee. Our administrative team works to insure our instructors are not only exceptional at their art, but that they are people we would want teaching our own children. You will find many of our instructors are actively involved in church music, attend Christian college or teach in Knoxville-area Christian schools. Are you interested in teaching at CPAA? contact us. Sarah Fellenbaum joins our CPAA staff effective immediately. Sarah is a graduate of the University of Tennessee - Knoxville where she earned a Master’s degree in Trumpet Performance. 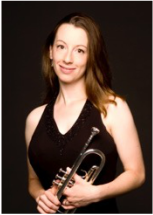 She earned her Bachelor’s degree in Trumpet Performance from Northwestern University in Evanston, IL. In addition to teaching private trumpet lessons, Sarah is a freelance musician, often performing with the Knoxville Symphony Orchestra, Knoxville Choral Society, Oak Ridge Symphony Orchestra, and other local ensembles. Sarah’s primary instructors include Barbara Butler, Charlie Geyer, and Dr. Cathy Leach. When she’s not teaching or performing, Sarah and her husband, Michael, enjoy spending time with their five-year-old daughter. Michael is the Resident Conductor of the Knoxville Symphony Orchestra and Director of Orchestras at the University of Tennessee. For more than twenty years, Sherbie Hampson has been one of the most sought after flute instructors in the Knoxville area, teaching hundreds of young students, ranging from beginners to advanced flutists. Sherbie received her B.A. and M.A. degrees in Music with concentrations in Flute Performance from the University of Tennessee. She has taught at Maryville College, Roane State Community College and at the Westminster Conservatory of Music in New Jersey. Sherbie has played in a wide variety of local groups including the Oak Ridge Symphony and she currently plays in the Celebration Orchestra of First Baptist Church Concord. Josh Howard as been studying and performing with various musical groups since the age of 15. He graduated from Lee University Majoring in Music Business and Minoring in Jazz Studies. Josh has had the amazing opportunity to perform with many great people/bands including Judy Jacobs, United Pursuit, Three Star Revival, Danger Cube and Crab Apple Lane. After traveling to Ireland with a Worship team from First Baptist Concord in 2015, Josh landed a spot as bassist for FBConcord's West Hills campus. Conny Ottway joins the CPAA staff this year as an instructor of strings and guitar. Conny has taught privately for more than 40 years all across the states of Kentucky, Indiana and Tennessee. She has served as a teacher with the Murray State University String Preparatory program, and has participated in workshops with professionals such as Steve Kaufman and Mark O'Connor, even co-writing and recording a bluegrass fiddle book with Kaufman. Conny graduated from Murray State University with a degree in music, and also attended Purdue University, where she played with the Purdue Symphony Orchestra. Daniel Ryan is a native of the Nashville area where he graduated from Hume-Fogg High School. Following his high school years, Daniel moved to Knoxville to attend the University of Tennessee and study under the legendary Keith Brown. In May of 2017, Daniel graduated from UT with a degree in Jazz Performance. Daniel plays in a wide variety of ensembles around the East Tennessee area, and can be found sitting in with Worship teams at FBConcord, West Hills and a variety of other Knoxville-area churches. Daniel has a love for music, a passion for teaching aspiring percussionists and drummers, and is happy to be joining the CPAA team. Mr. Jacob See is a graduate of the University of Tennessee - Knoxville where he received a M.M. in Tuba Performance. Jacob received his B.M. in Music Education and Tuba Performance from Carson-Newman College. As an active performer, Mr. See can be seen with the Southern Stars Symphonic Brass Band in Crossville, TN as Principal B-flat bass. Additionally, he performs with the Black Oak Brass Quintet, based in Knoxville, TN. Jacob's primary instructors include Dr. Kelly Thomas, Sande MacMorran, and Dr. Sean Greene. Currently, Mr. See is an active private tuba and euphonium instructor in the Knoxville region, while serving as Adjunct Instructor of Tuba on the faculty at Carson-Newman University. Kim Slusher has taught beginning and advanced piano, as well as music theory, for more than 30 years. Several of her students have gone on to major in music and received scholarships to schools like Vanderbilt, Belmont and Virginia Tech. 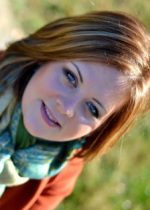 Kim received her undergraduate degree from the University of Kentucky and her Master's Degree from the University of Tennessee, During her college years, Kim served as a special accompanist for the UK Choir and for a variety of musical productions. And, for more than twelve years, Kim trained with a Russian concert pianist. Kim and her husband, Joe, have two adult children, Preston and Tarah. Missy Waldroup has been teaching private piano and voice lessons since she was just sixteen. Missy attended Belmont University in Nashville, as well as Georgia State University. She also attended, and later taught at, the prestigious Stamps Baxter School of Music in Nashville. Missy has served on the faculty of the North Georgia School of Gospel Music, and in teaching, arranging and directing roles at Central Baptist Church in Houston, TX, and at North Point Baptist Church and North Point Christian Academy in Carrollton, GA. Missy and her husband, Jason, former tenor for Greater Vision, have three children and serve on the Worship team at FBConcord. Steve and Julie Arnold share a deep love for the arts, but most importantly for their Lord. Steve and Julie met during their tenure in the University of Tennessee's Pride of the Southland Marching Band. While at UT, Julie received her B.A. in Speech and Theater, and a Doctorate of Jurisprudence. Steve received his B.S. in Management from Tusculum College. Both have been involved in musical and theatrical performance for many years, performing alongside many notable celebrities, including Wynton Marsalis, Travis Cottrell and Bill Gaither. Since they began using their talents in Christian service, Steve and Julie have had the opportunity to travel and perform throughout the United States, and internationally in East Asia, Thailand, Spain and Ireland. In 2011, Steve and Julie agreed to serve as Directors of CPAA's programming. Since then, they have had the privilege of witnessing God's blessing, as CPAA has grown from less than ten piano students to almost 400 musicians, actors and dancers. Steve and Julie are honored to be part of growing the next generation of worship leaders.